In the 1970s, ‘80s and ‘90s Britain witnessed what many in the business saw as the second great age of radio. It was a period when FM radio blossomed and local stations opened and broadcast across the land. It was a step away from the output of the national broadcaster, the BBC, which had held a monopoly on the airways since its inception. Broadcaster, station manager and regulator for over forty years David Lloyd was very much a part of this revolution and is, amongst his peers, well placed to tell that story. Lloyd describes the period as one of innovation, his aim to create a timeline of radio of this era through to the present day, to capture those heady days, the characters, the fun and heartache, life on the air, life off the air. And to revisit those station launches, company consolidations, the successes and the failures. Told with the insight of an insider, with his characteristic wit and a huge dollop of nostalgia, David Lloyd brings to life a unique age in broadcasting in this fascinating account. “David Lloyd has forgotten more about radio than most of us will ever know." Helen Boaden, former director of BBC Radio and former controller at BBC Radio 4. 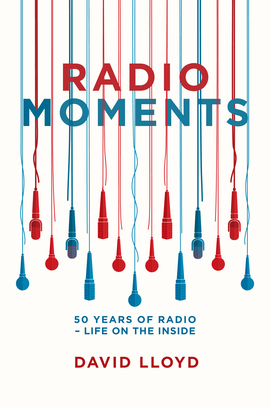 “Anyone who is interested in radio should read this book." “This is as good as it gets."